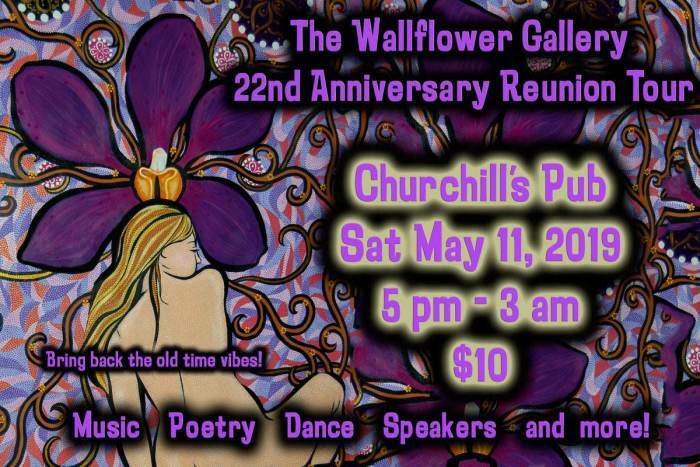 On Saturday, May 11, The Wallflower Gallery will celebrate 22 years of creative interaction with a multi-media showcase of art, music, spoken word, dance, comedy, community speakers and lots of fun! The festivities will take place at Churchill’s with a 2 stage showcase. The event would be 18+.